Mares Avanti Quattro Power is the ultimate Channel Thrust fin for speed, power and fun in the water. 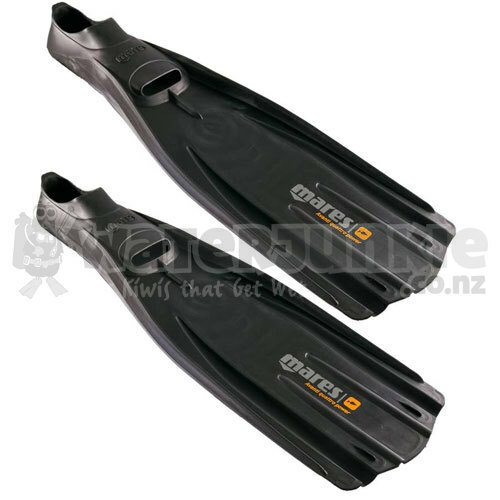 The best all-around full foot fin for diving. The Avanti Quattro Power is perfect for warm water divers, snorkeler's and free divers that want ultimate power, comfort and speed. 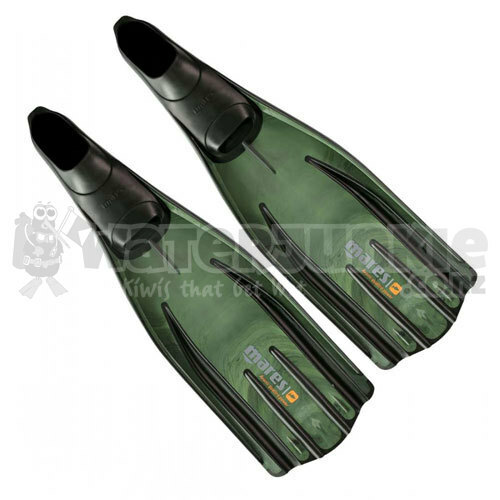 The choice of demanding scuba and free divers, who want comfort combined with extraordinary performance. 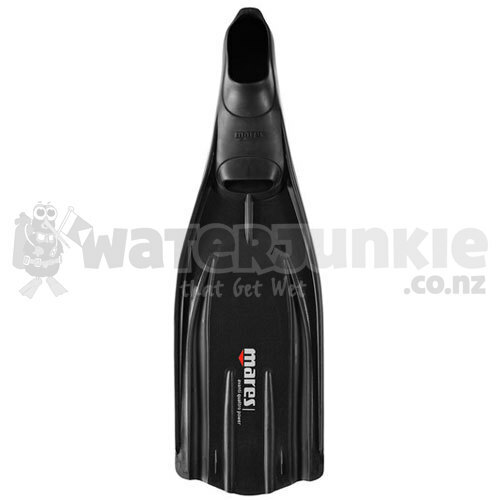 Channel Thrust technology maximizes the channeling of water and moves a much greater amount of water compared to other fins of the same size. The result is greater thrusting power with the same amount of effort. Latest development in Channel Thrust is the Super-channel. The blade is designed with a large flexible central Super-channel propelling water-flow more efficiently down the fin blade instead of letting it spill over the sides for optimal performance and minimal diver effort. Vertical ribs that anchor the blade through the kick cycle to eliminate side to side wobbling effect, keeping your kicks stable and reducing power loss, and will help eliminate ankle-twisting phenomena. Fin comes in Four sizes, is black in color, overall fin length is 28" to 29.5" (71 cm to 75.5 cm) and weights 4.2 lbs to 5.2 lbs (1.92 kg to 2.35 kg). Fins come with a 24 month limited warranty.